We have always generated business through referrals. Today, one place for those referrals to happen is online. If our employees did a great job, we appreciate your letting people know at Google, Facebook, or Yelp. 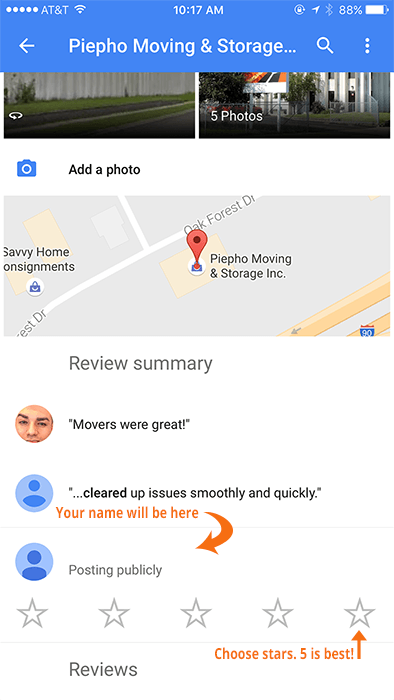 Clicking the "Review Us" button below, takes you to a Google page where you can post your review. Use Google Maps on your smartphone, or create a new Google account. 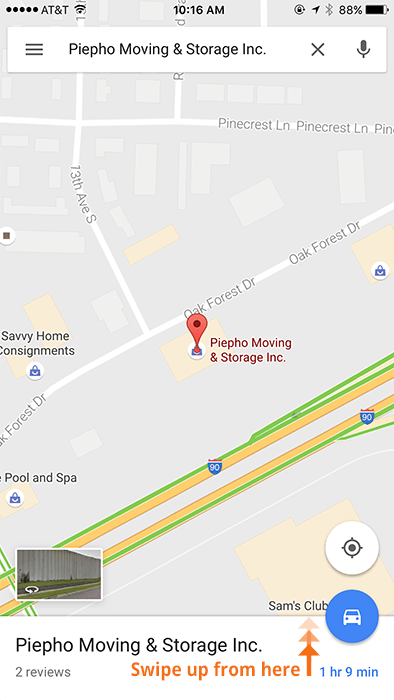 Open the Google Maps app, and search for "Piepho Moving & Storage Mankato MN". If you get a message that you need a Google account to proceed, here's how to do it: Click "Create Account". If you are on your smartphone click "More Options" and "Create New Account". Once you've gone through the steps, which only take a few minutes, please leave your review. If you've had any difficulty posting a review, please let us know. Of course we hope you had a five star experience! Choose the number of stars you'd like to rate us. Please write a review of your experiences with us. If possible, go into detail.